So, in the one SDCC interview, John Warden indicates that more movie stuff (not TLK) is to be shown at Hascon; it's hard not to think that it will be the leaked list from last week. So, of the leaked characters, which are you most happy about? Which do you really not care for and would rather see replaced by another character or design? I think my favorite thing so far about this line is the loose scale they are implementing. The only character that kind of seems out of place is Ratchet; I always think of him and Ironhide as supposed to be the same size in bot mode. But it's great that they saved the leader class for characters who are supposed to be huge, and all the voyager characters are close to the same size in bot mode. The one character I think I'm most looking forward to is Stinger since he didn't get a real toy for AoE. He isn't much of a character but he looks great and is a neat concept. Blackout is a close second, of course; it seems like they switched him and Brawl and that should have been the case back in 2007. I am sort of disappointed that Megatron is in his ROTF form. His ROTF voyager was pretty good, though I do hope this new one does not rely on kibble wings and has a more accurate bot mode as a result. I think I would have preffered his 2007 design as I think they could make a much betfer toy of it if it didnt have to accomodate the claw-wings gimmick and ice parts. Im also surprised to not see Bumblebee, but I figure they plan to remold Stinger into him eventually. Crowbar. All the better if he gets a reshell into Dreadbot. Honestly, I hope they also end up using this line as a chance to re-release some of the molds that never came here before- like Que, Soundwave, Leadfoot and probably Cogman. Leader Blackout is the only one that interested me, and that's mostly because he's got an actual toy design and not just a render. 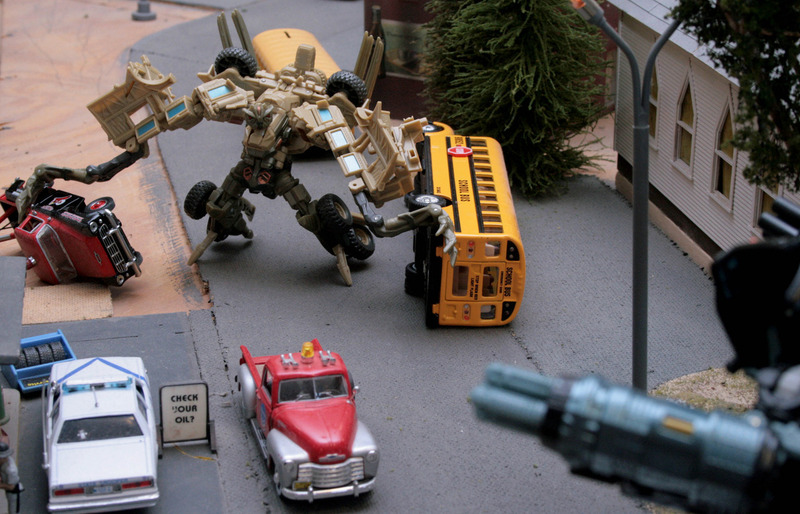 But I made the hard switch to Cyberverse during DotM, so unless we see small scale stuff (Tiny Titan Changers!) I'd probably just pass on it all. I've limited my movie collection to just the cast of the first film, so Blackout is definitely the (word meaning the thing where dogs' ears perk up) figure for me here. Bonecrusher seriously needs a better toy. Blackout is pretty much the only thing I care about in that particular chunk of leaks. I probably already have better (or the same) versions of everything else. I do love me my deluxe Bonecrusher but I sure wouldn't turn down a Voyager one. I'd love a better looking toy of 66 Camaro Bumblebee from AOE. I really liked the look of that car and wish that the existing toy didn't look so weird in robot mode. Other than that, new Jazz and Blackout sound interesting. Bonecrusher is the worst Movie 1 Decepticon toy, imo. Blackout's not great, but its still better and have at least a few gimmick to excuse some of that, and Brawl got a leader class toy since his Deluxe toy is nullified. Bonecrusher is still a better toy than any of Megatron's Movie 1 design toys. Blackout's the only one I'll buy, most likely. 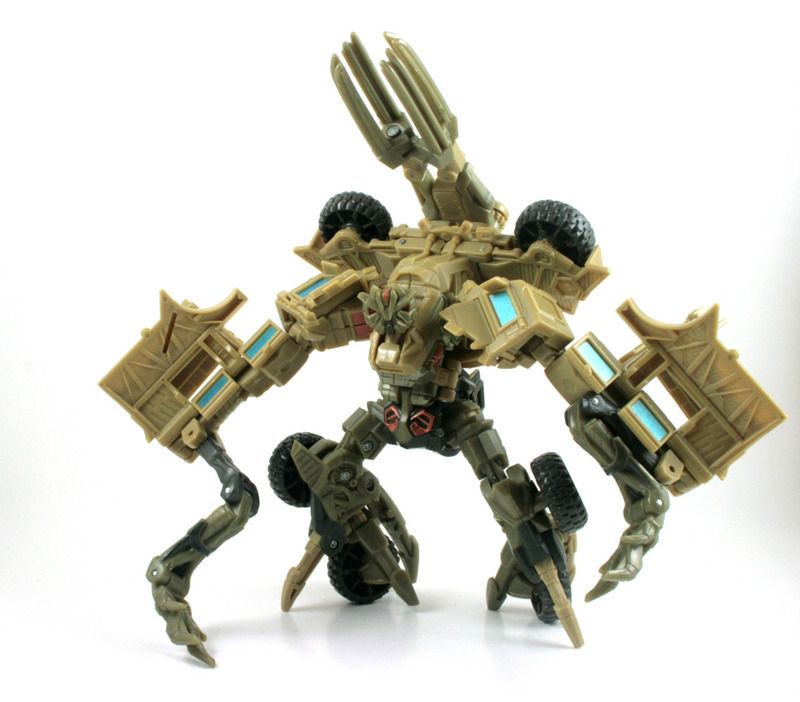 I want them to make a new Bonecrusher. I tend to forget about the Movie 1 designs for him since as a Character Megatron does get some better toys from other movies, so he's not a character I think of when I think 'needs a better representation' since at the very least his DOTM and TLK toys are good. Edited by Shadewing, 27 July 2017 - 12:07 PM. Jazz may have my favorite design of the movie-folk, so even though I don't see my Human Alliance figure going anywhere, I'm just excited to find out what they do with him. I don't know what the problem is with Bonecrusher, other than being too small. I mean he has the incredible huggy stretchy arms and his cool scorpion tail weapon that's pretty much accurate to the film.